Banjo Breakdown is a very old bagpipe tune. it was written by Donald MacPhee and first published in 1876 as 'Yankee', a hornpipe. it has been played as a strathspey, a jig and a reel. 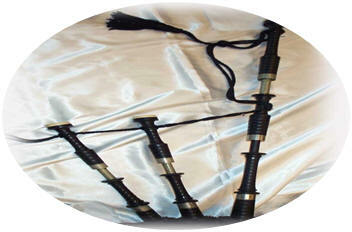 Donald MacPhee was born in 1841 and was an outstanding piper and bagpipe maker. He operated a successful business from 17 Royal Arcade (Glasgow) until his death in 1880. According to Jeanne Campbell, Donald died of general paralysis of the insane over a duration of about one year. From her writings, Donald must have been a very special person to be a top competing piper in 1876, hospitalized in 1879 at the age of 37, and dead at age 38.